The update of Joomla 2.5 is probably the easiest task. If there's a new version of Joomla available, you will be informed about it in the home page of the Administrator's panel. "Update Now" icon with the red "!" sign will appear if your version is not the latest. Otherwise, you will see the "Joomla! is up-to-date" icon with the green "check" sign. If an update is available, click the Update icon. On the next screen you will see the information about the new version of Joomla and from where it will be downloaded. All you need to do is to click the "Install the update" button and wait some time. The patch will be automatically downloaded (please be patient) and installed. One of the most common errors you might get is JFolder::Create: Could not create directory. Don't panic because the fix for this error is usually easy. You probably have some wrong paths in your configuration.php file or some folders are not writable by the server. To check this, go to Site > System Information > Directory Permissions. 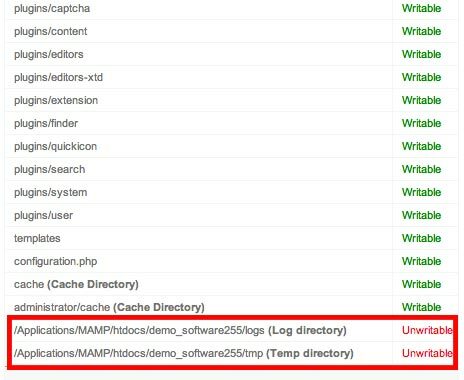 Look at the bottom of this page to check if "logs" and "tmp" directories that Joomla uses for updating are available and writable. If you see the message "Unwritable" written with red color, you must fix this. Save this file as path.php and upload into the root folder of your server (or wherever Joomla is installed). Execute it by entering URL in your browser: "http://www.yoursite.com/path.php". The output will be the correct path of this directory on your server in the form like this: /path/to/your/folder. Copy this path and enter it in the configuration.php file for "logs" and "tmp" paths. Don't forget to add logs and tmp for each of those two paths respectively. You can delete file path.php from your server as you won't need it anymore. Now, check if the "logs" and "tmp" folders exist in your Joomla root folder. If there are no such folders, create them yourself in your favorite FTP manager. Also, using the FTP manager, check if those folders are writable (chmod 755). Finally, check the Directory Permissions page again and make sure that all folders are marked as writable (with green color). If they are, you can try Joomla update process again. This time (and all next times), it will work without any issues. After each update, it's recommended to check the status of your database, because updates sometime changes the database structure. So, go to Extensions > Extensions Manager > Database. If you get message "Database table structure is up to date." everything is alright. 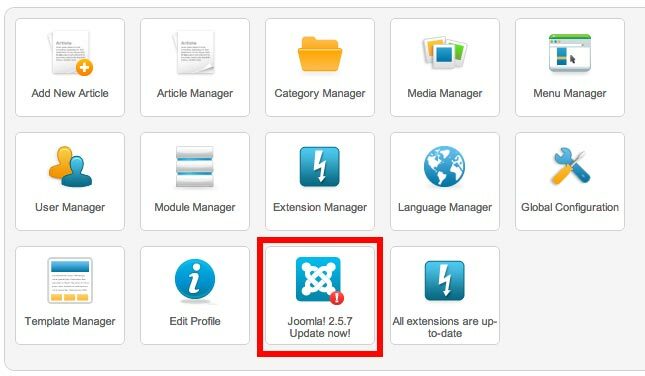 However, if you get a message that your database needs to be updated, click the "Fix" button (top right) to update the database of your Joomla.